For me, while I found the story interesting, it was a slow read for me. The idea of traveling though different dimensions and with the right calculations you can either remember what happened before or you could be completely oblivious. Although, I liked the plot of the book, I felt that the characters were not developed enough and kept you wanting more from them, it was hard to make any connection.There were some grammatical errors but nothing that can’t be fixed. I also had a hard time keeping track of all the schools mentioned because it was nothing but three letter initials being used. Irene brings us into a world that is full of “what ifs” where the world is endanger of a take over and loved ones maybe lost forever. Jane’s world is brought upside down when she is wakes up in another Dimension after “man in black” dropped in on a demonstration of the Multiverser. In this new Dimension, Jane is married to Anton Zelov. Anton is the antagonist for most of this book, he is an ex-KGB agent who is very intelligent, conniving, attractive and dangerous. Anton wants to control the world and all of it’s dimensions. Zelov plan is to take over all the Dimension and place people into the Dimension he feels that they will be move beneficial. While Jane and her friends try and take down Dr. Zelov and protect the people they love. Jane maybe the protagonist in this book but Anton brings all the adventure into the book and I think he is the one who makes it worth reading. 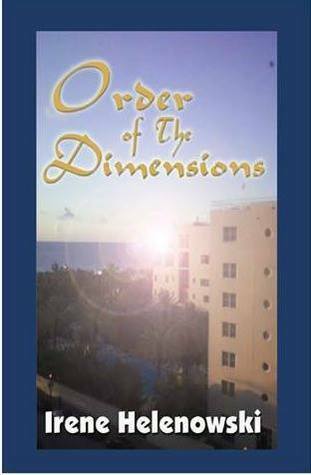 Sign into Goodreads to see if any of your friends have read Order of the Dimensions.